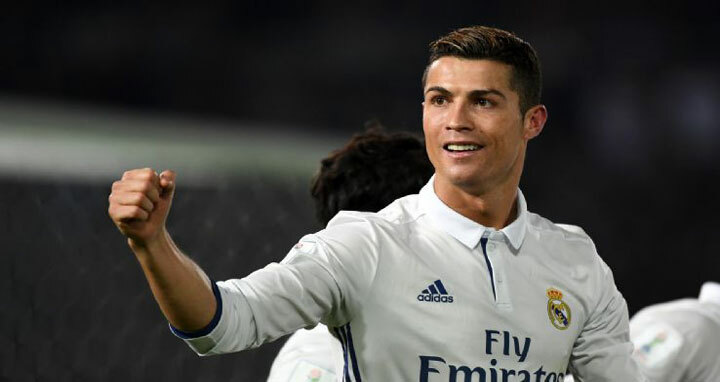 Dhaka, 18 Dec, Abnews: Cristiano Ronaldo scored from a free-kick as Real Madrid claimed its third Club World Cup title after beating Brazilian team Gremio 1-0 Saturday. "(Ronaldo) is always there at the key moments," Madrid coach Zinedine Zidane said. "Nobody can do what he does." Madrid became the first team to retain its Club World Cup title, and collected its fifth trophy of 2017, along with the Champions League, Spanish league, European Super Cup and Spanish Super Cup. Ronaldo celebrated the goal by rushing to Madrid’s dugout where he was embraced by his teammates. The goal increased Ronaldo’s record to seven goals in the competition. He also scored in Madrid’s 2-1 comeback win over Al Jazira in the semifinals. "What am I going to say? The numbers speak for themselves. I am very happy. The team played fantastically well and it has won another title," Ronaldo said. "We played a very good game and deserved the victory." Madrid equaled Barcelona’s record of three titles for the short knockout tournament between the champions of FIFA’s six continental confederations and the host nation’s league winner. European clubs have won 10 of the last 11 Club World Cups, with only Brazil’s Corinthians interrupting that streak in 2012 when it defeated Chelsea. Zidane played the same starting 11 from last season’s Champions League final in June, when Madrid crushed Juventus 4-1 — led by Ronaldo’s double. The European champions outclassed Gremio throughout the match, but the closest they got to scoring in the first half was Dani Carvajal’s goal-bound volley in the 20th that was cleared by Pedro Geromel. Gremio had to scramble on several occasions to stop Madrid inside its own area. At the other end, a free-kick by Edilson for the South American champions swerved onto the top netting near the half-hour mark. Geromel had tried to set the tone early on with a hard tackle that left Ronaldo writhing in pain, and hoping for a booking that never came. Ronaldo had a poor first half. He twice erred in short passes with his back heel that failed to reach his teammates, and he squandered a good opportunity when he took too long to shoot when a loose ball fell to him close to the net. All that changed after the interval. Ronaldo baited Jailson into fouling him outside the area with some fancy dribbling, setting up his winner. Ronaldo thought he had another goal moments later, but Karim Benzema was ruled offside before he passed the ball back to Ronaldo. Marcelo Grohe kept his side in the game by pushing Luka Modric’s shot onto his post and denied Ronaldo a second goal, but Gremio never mounted a serious response to get the equalizer.